She’s one of the hardest working entertainers in the business. And Jennifer Lopez, 49, looked ready for business in a skin-tight sparkling mini dress to film scenes of stripper flick Hustlers in New York on Friday night. The newly engaged actress showed off her fit figure in the daring ensemble before covering up in a massive fur coat. Her sparkling sheath left little to the imagination with a plunging neckline and high hem highlighting her famous curves. Jennifer added inches to her frame with a pair of matching booties with silver studs wrapped around her ankles. The World of Dance judge wore shimmering shadow on her lids and her caramel-colored hair was parted to the side with tendrils resting on her chest. 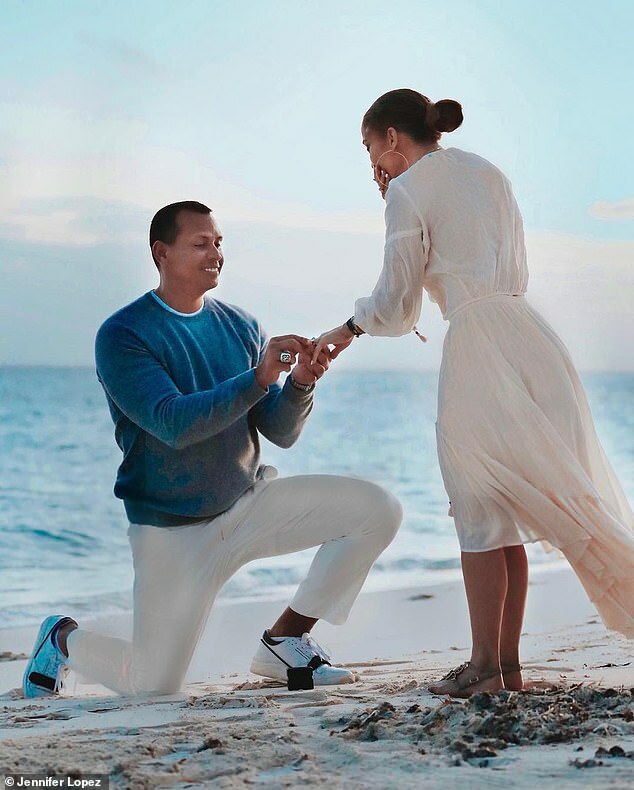 The future wife of Alex Rodriguez, 43, is taking the stage yet again to celebrate her milestone birthday as she turns 50. Her highly anticipated tour will mark the triple threat’s first ever U.S. headlining tour, which opens on June 7 in Los Angeles. ‘This summer I decided I wanted to do something big for my birthday, since it’s a big birthday,’ she explained. The tour is produced by Live Nation and will make stops in Houston Chicago, Atlanta, New York and more, before wrapping July 25th in Miami. She’ll likely bring her new fiance along for the ride after he dropped down to one knee and proposed with a massive $4.5million engagement ring during a tropical vacation earlier this month. Jennifer and Alex began dating in early 2017, 12 years after first being introduced at a New York Mets game. The baseball player asked Lopez to be his bride on March 9, almost two years to the day since they went public.